In a field that embraces the hotel industry and restaurant culture, hospitality conferences provide a venue to meet other professionals as well as view and sample the latest products or services. 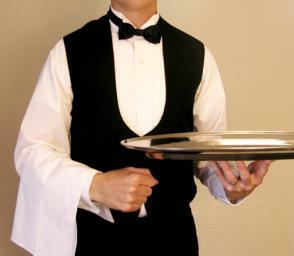 Additionally, hospitality professionals can learn about the most cutting-edge data service techniques with which they can elevate both their business models and their guest services. These 2019 venues are perfect ways for students and established professionals alike to mingle, form connections, and learn. Set in the splendid Marriott Marquis in Downtown Atlanta, the 31st Hunter Hotel Conference promises a host of networking opportunities for hospitality professionals and enthusiastic students of the field. The event brings together both those working with guests and investors from across the spectrum of venues. The sessions designed for Friday are focused on the topic of finance and are specially crafted to offer advice or answer questions. Experts will address audiences in exciting and relevant panel presentations. In addition to stimulating discussions, attendees will have a multitude of networking opportunities to establish or reinvigorate their personal or professional ties within the community. Pack your bags and pencil it into your calendar. October 23-24 is the must-attend hospitality event with a focus on direct booking, and it’s held in Miami. In addition to this salient topic, the conference offers hoteliers from across North America the opportunity to attend panel discussions about OTA’s, challenges presented, and techniques to provide guests with a superior experience in any establishment. Professionals and students in the hospitality field will have many opportunities to network, ask questions, and reimagine their business design in a current and exciting venue. Nashville is a city renowned for its tourist and hospitality networks. On August 14-16, this historic city will play host to the 2019 Hotel Data Conference, situated in the beautiful JW Marriott at the heart of the musical capital of the South. Events such as training sessions in the certification in hotel industry analytics (CHIA) and other data-driven workshops are on offer. Additionally, expert speakers will host panels to inform and encourage hotelier innovation in analytical methods that will improve their provision of guest amenities across the board. Professionals, investors, and students will have the opportunity to mingle, network, and collaboratively explore solutions to data problems. Conferences for the hospitality industry embrace more than the realm of hoteliers. They also address critical issues in the restaurant industry, offer professionals the latest products and services, and serve as a means to bring together the different worlds of the hospitality cosmos. On August 3-5 in 2019, New Orleans plays host to one of the most salient and well-known expos for the Louisiana Restaurant Association. As the premier tourist destination in the Deep South, New Orleans is a city renowned for its diverse and delicious fare, which must include support data collection, guest experience assessments, and even considerations of restaurant décor in a highly competitive field. Pack an extra pair of flip-flops, because this informative and invaluable expo is set in gorgeous Key West on July 24-26, 2019. Attendees will be treated to a number of panels that discuss topics such as minority investment trends in the industry, how to market to a diverse clientele, and issues facing African American owners in the current financial climate. Guests will also learn about the latest services and products, as well as examine data and data collection methods that directly impact them in their business. As 2018 closes and hospitality personnel prepare for 2019, it’s vital that they set aside time and resources to discover the latest trends in the industry. Building a network of relationships within the industry and using collective experience to troubleshoot, learning about and sampling the latest products, discovering how data collection and analysis can offer a competitive edge, and understanding the most prominent trends are all on offer at hospitality conferences, rendering them an essential business tool.